It is unlikely Ukraine and Georgia's admission to NATO will be fast-tracked, says Russia's envoy to NATO, Dmitry Rogozin. He was commenting on the latest US attempts to bring Kiev and Tbilisi closer to joining the alliance. Secretary of State Condoleezza Rice has been trying to persuade the alliance to accept the two countries without a Membership Action Plan. “This is a problem between the outgoing and incoming administration. We know Barack Obama is always trying to get to the bottom of problems. To give him such a headache at the moment which he won't know how to deal with – I mean admitting messy political regimes like Ukraine and Georgia to the alliance – this wouldn't be very ethical of the current administration. I think Condoleezza Rice has somehow lost her sense of reality,” said Rogozin. The US administration has long been pushing for the two former Soviet states to join NATO, but there's strong opposition within the organization, which has only grown since the war in South Ossetia. At a Bucharest summit in April, NATO leaders promised Ukraine and Georgia will one day join, but refused to grant them action plans. The issue will be raised again at the upcoming gathering of the alliance in Brussels. “All I can say is that there is a discussion within NATO amongst all 26 allies on how to take forward the Bucharest decisions on Georgia and Ukraine. These decisions were clear: these countries, if they wish to, will become members. Now we must decide how to step up co-operation with them and how to bring forward their engagement with NATO. 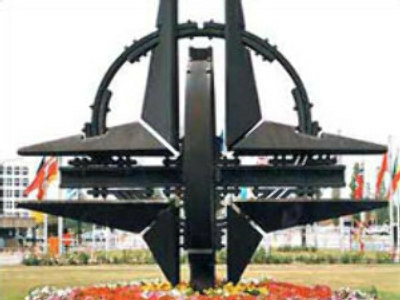 So this will be what we'll discuss,” said James Appathurai, NATO spokesperson.